When you place a request to access a webpage, the browser contacts the server and the server responds with one of many possible three-digit HTTP status codes. This is the way in which the server and browser communicate so that you can successfully, or unsuccessfully, view a webpage. It is critical to use the appropriate status codes to inform both people searching for your site and the server of the correct situation. You want to be sure that if a page is unable to be accessed, either permanently or temporarily, that the server and the browser use the appropriate corresponding categories and codes. The 100s are a classification of informational origin. The meaning is simply that the server has received the request and that the process will continue. It also informs the user that everything is perfectly okay and that the user can proceed to the webpage as requested. If the request has already been completed, the user can ignore the classification altogether. It is the 200s category that is the ideal HTTP status code category. When you have a 200 status, it means that everything is performing seamlessly. Users will not see any error messages and servers will not have to double check for any potential issues. A 200 category should be your end goal. The 300s provide a number of possible redirection alternatives. The redirection possibilities vary from a temporary situation to a permanent shift. 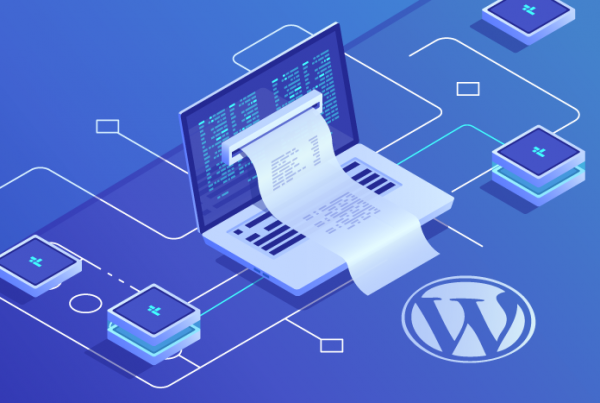 The specific status code will inform the server of the action to take for the user such as whether or not to use the existing cache version or to look for a new page altogether. If a 400 category occurs, this is due to client error and the server will be unable to understand the syntax that is placed before it. These errors could range from authentication errors and forbidden content to unacceptable criteria and missing URL information. The 500s are an internal server error. It is a generic category for unexpected situations when no additional information has been provided so that the server is unable to determine the ways in which to proceed. This status code is often referred to as a permanent redirect. This means that the server will pass over the old page and the user will be directly transferred to the new page automatically without interruption. This is a search engine’s preferred status choice for redirects that are permanent. 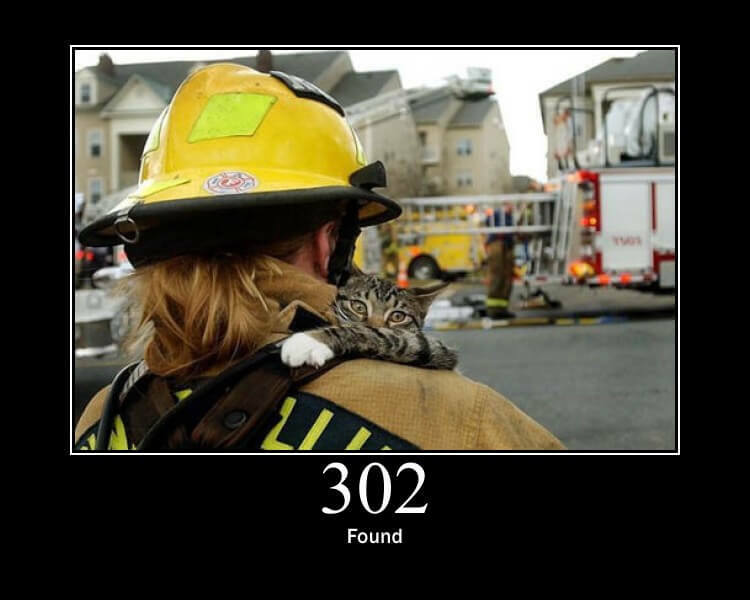 The 302 is similar to the 301 only that it is considered a temporary redirect. The server will find the page, however, it may not send the user through to the new page. This status code is not recommended or effective to inform search engines of a temporary or uncommon situation. 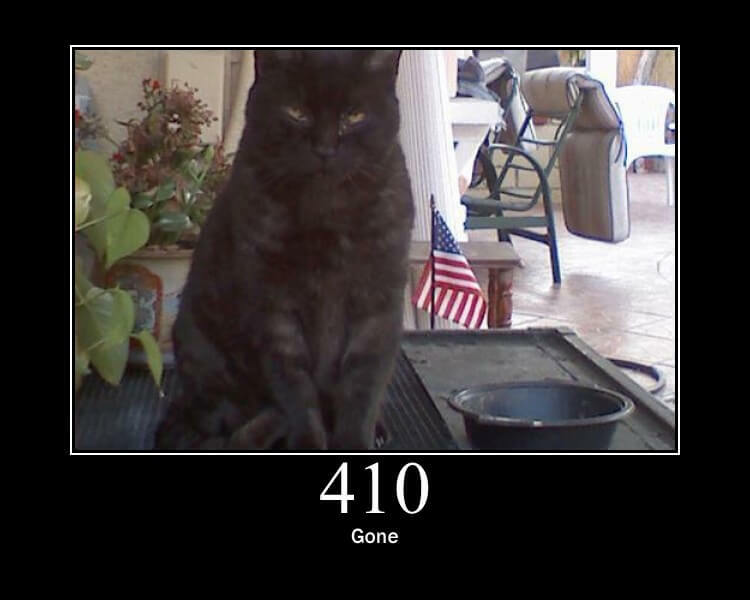 A 404 status code result is a “file not found” error. The server will not find the page and everything will be missing. And, the server will not be able to determine if the situation is temporary or permanent. Search engines will continue trying to look for the page until another code is assigned or the site is back up and running. There is also a Soft 404 error. You can learn about it here. A 410 tells the user that the page no longer exists. This code will not provide a forwarding address to redirect the user to a valid page. This is basically a dead end for users and servers. If you do see a 410 assigned to any page, it is best to assign a different code so that you do not lose traffic. This HTTP status code equates to service unavailable. Basically, the server is unable to handle the request for any number of reasons such as a server overload, maintenance, or a temporary outage. It informs the search engine to try again later as the situation is not permanent. This is recommended for times when you are going to perform site maintenance. How Can I Fix Status Errors? Use the Chrome Development Tool to verify whether or not you have assigned the correct status codes to your websites. Using the Google Chrome browser, right click on a page and click on Inspect. Then choose Network tab, and reload the page to view the real-time status of the page. On the top of the list, you will see your domain name. For this article, we will use google.com as an example. Click on google.com followed by the headers tab. Here, it will show the requested URL, the request method (GIT), and the current status code such as 200. 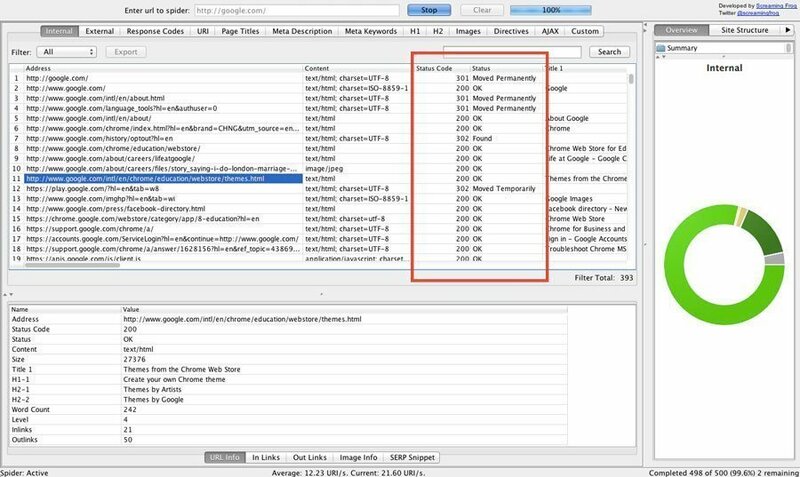 Another possible way to ensure your pages are assigned correctly is to use Screaming Frog’s SEO Spider Tool. Use the tool to perform a crawl of any website and you will be able to see all listed status codes. You can look for any problematic status codes such as a 302, and if you see a 0, it is not a true status code. This numerical value simply means the page was not checked because the program was not asked to do so. Another great tool that Mac users can take advantage of is Integrity. It is free and has no limits, unlike the Screaming Frog’s basic version. To avoid additional issues and to maximize your SEO, always check to be sure your server and user errors match. You can double check your status code connections by loading a non-existent page to your site and ensure it returns a 404 status code. Be sure to review the status code column so that each assigned code is, in fact, correct and true. Keep in mind that if you inform the server of one action, it could show the user a different error which could be catastrophic. 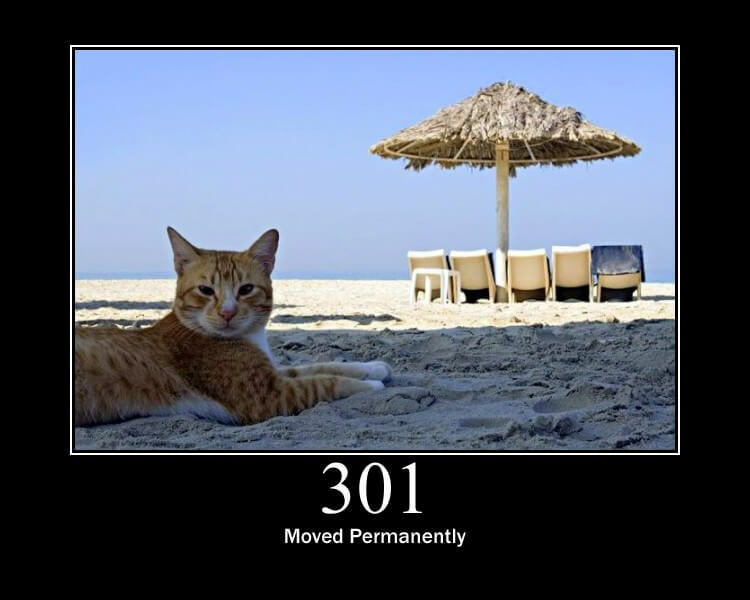 And, be sure to eliminate all 302s and replace them with 301 HTTP status codes for optimal results. The correct HTTP status code is imperative for successful SEO. Many businesses choose to create a unique 404 page so that users and the search engines are aware that they should check back. And, if you have deleted a page and wish to send users to a new page that has been created in its place, you want to use a 301 status code so that you do not lose precious traffic. You are welcome. Glad you liked it!